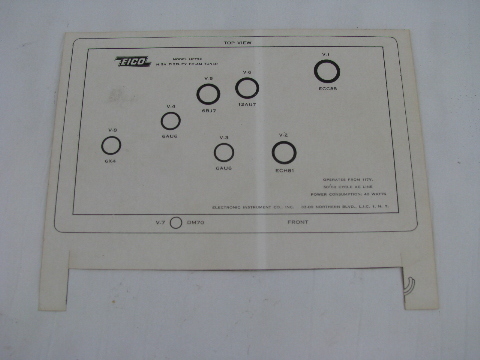 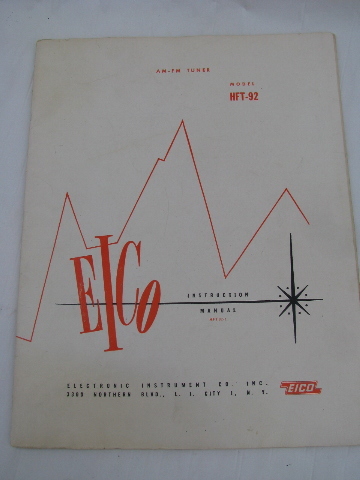 Original vintage manual for the Eico HFT-92 AM-FM tuner. 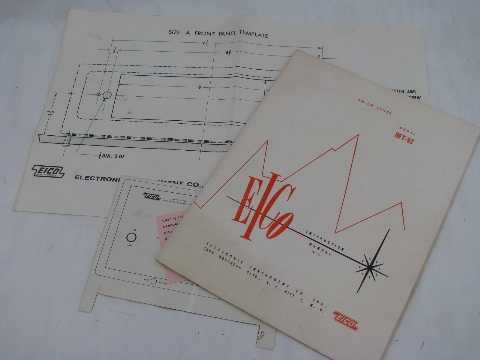 This has about 36 pages, with drawing, schematics, diagrams etc. 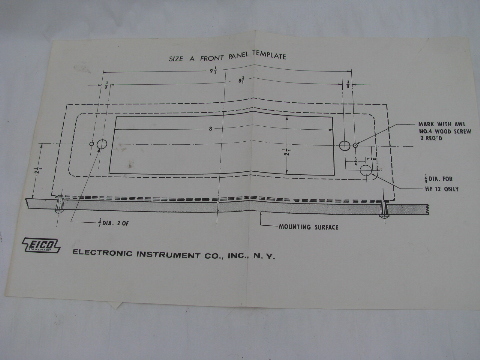 It has some light wear and pen and �pencil marks.